Red, white, and blue color scheme with “Happy 4th of July,” an American flag, and more. 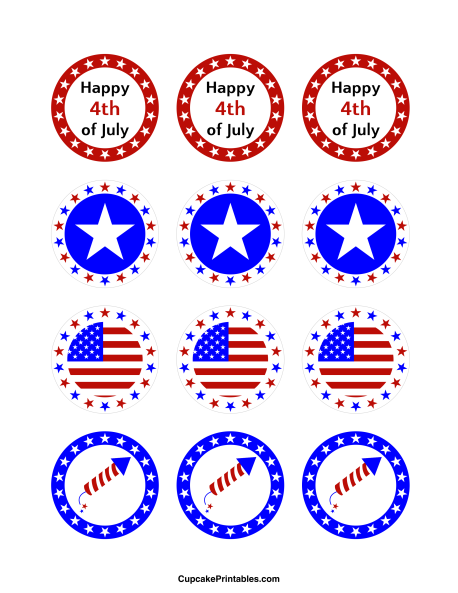 Use for Independence Day or other patriotic occasions. These 2-inch circles can be used as cupcake toppers, party favor tags, and more.